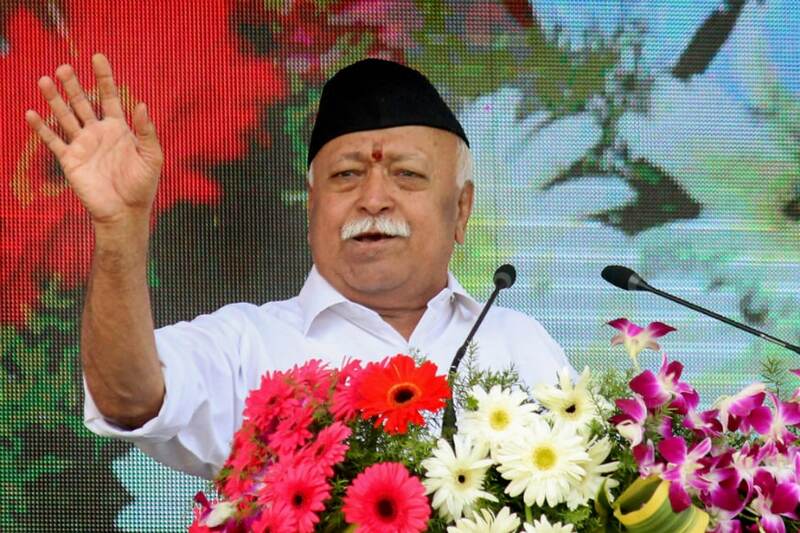 Lucknow: Months before the 2019 general elections, RSS chief Mohan Bhagwat’s Ram Mandir push has created ripples in political circles. His suggestion that the Narendra Modi government should bring in a legislation for a temple at Ayodhya has begged the question on whether the BJP’s poll plank would be ‘vikas ‘ or ‘mandir’. It also worth exploring whether PM Modi and BJP chief Amit Shah were kept in the loop. Because if they were, Bhagwat’s speech makes a clear and consolidated push for Ram temple ahead of the Lok Sabha battle, indicating a legislative move in this direction during the Winter Session of Parliament. On the other hand, if the statement was made without keeping them in the loop, it constitutes a big embarrassment for the BJP since the party had so far stressed on development agenda. All public addresses made by Modi and Shah in recent months have focussed on ‘Sabka Saath, Sabka Vikas’ and clean governance, with no mention of the Ram Temple. “It's not clear if Bhagwatji has already spoken to the Prime Minister and party president on this issue. If not, he should do so at the earliest. I don't think there is any possibility of early judgment coming from the Supreme Court. Therefore, the government should now think of alternate mechanism,” said senior BJP leader and one-time mascot of temple movement Vinay Katiyar. According to All India Muslim Personal Law Board member Khalid Rashid Firangi Mehli, it’s “sheer politics”. “It's a desperate move by RSS-BJP in the run-up to general elections. Politics should not be done on such issues, focus should be on real issues of people,” he said. Whether the push leads to electoral gains will be seen in 2019, but for now, the mandir is back in poll position.